Are Sarah and Preston in a secret relationship behind Calvin’s back?! Or are they simply practicing for a play together? And who are the Galactic Ninjas and what is their master plan? 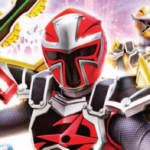 Check out the preview clip for Episode 06 of Power Rangers Super Ninja Steel – “Attack of the Galactic Ninjas” – down below! Power Rangers Super Ninja Steel airs Saturday mornings at 12pm EST, 10am PST, on Nickelodeon. Check your local listings for the exact time in your area. We’re a little over a week away from the premiere of Power Rangers Super Ninja Steel. As we’ve inched closer to the premiere we now have a couple of episode summaries. Check them out below – no spoilers! When Calvin forgets his and Hayley’s anniversary, he panics and ends up spinning a web of lies to cover up his mistake. 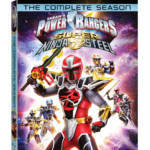 Super Ninja Steel is the second portion of the Power Rangers Ninja Steel series. 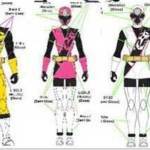 It will celebrate the 25th Anniversary of Power Rangers during the season with a special anniversary episode. New episodes begin airing on Saturday, January 27th on Nickelodeon. 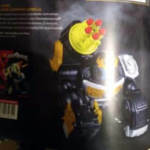 Discuss on the Tokunation Forums› Views: 4635 › Credit: GrnRngr.com!